Home » Rockwood! Rockwood! Rockwood! Thanks to Wildwood Middle School for hosting me for Red Ribbon Week this morning! You guys were so polite and asked some great questions! Plus, you guys look really cool in your camo! 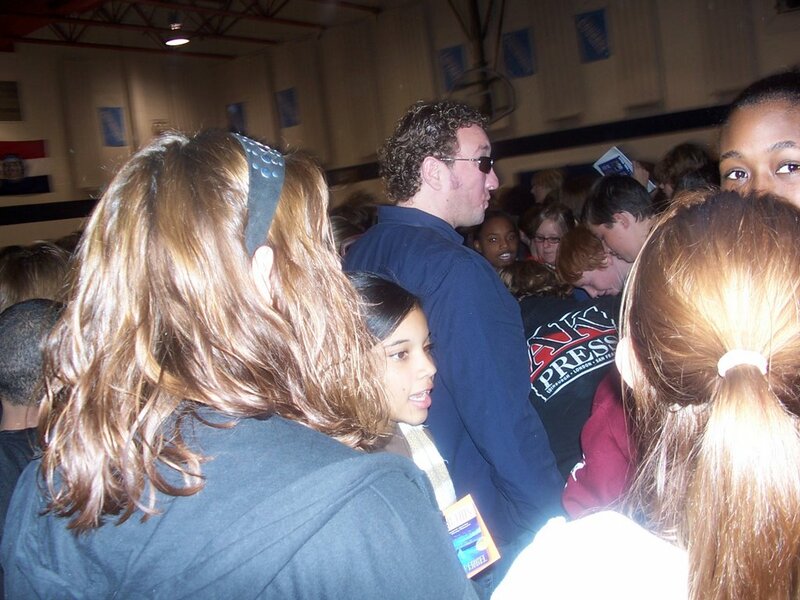 Please check out my MySpace for photos from your school! Thanks to Rockwood South Middle School 8th graders for welcoming me for Red Ribbon Week. 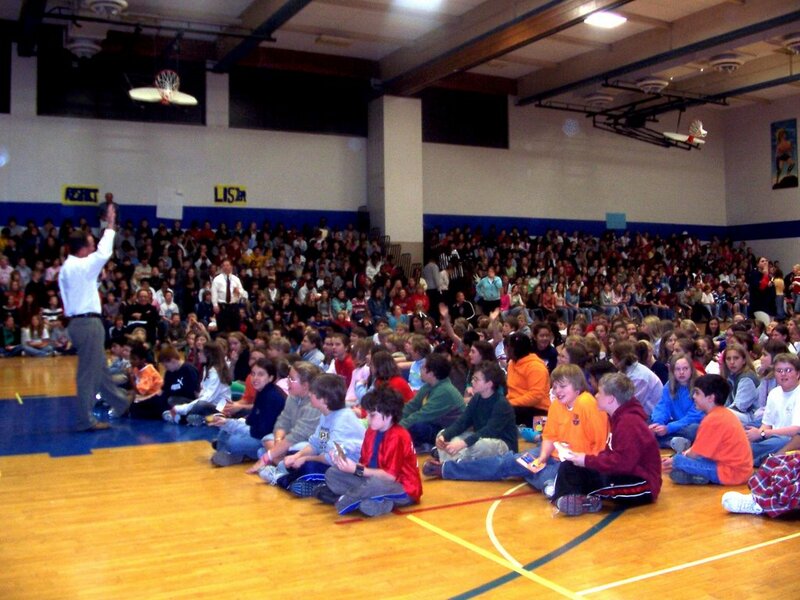 You guys have some infectious energy and I had a great time at your school! And… I like your slippers! 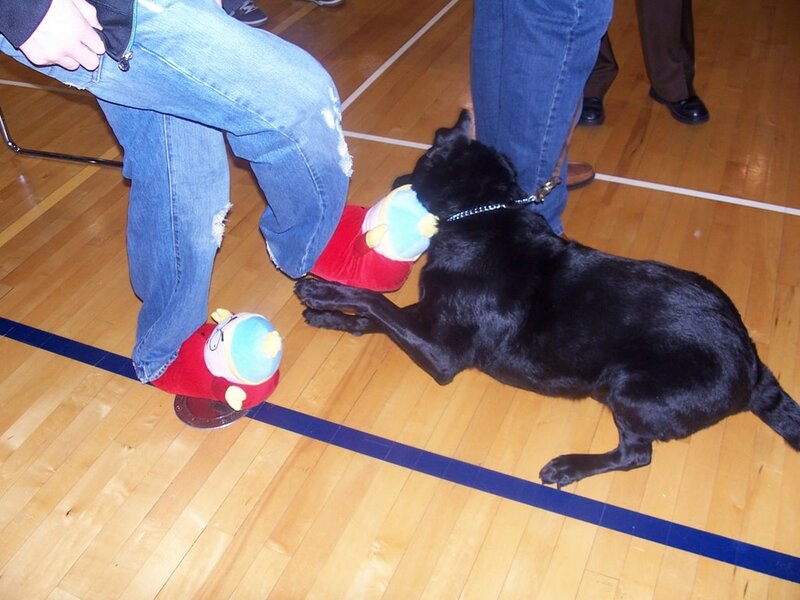 We have some cool pics of Carson going after some Cartman slippers that is pretty funny! Check out my MySpace for those and sign up to be my friend while you’re there! Wow, there were 1200 of you guys in that gymnasium and you were so attentive and polite I thought there were only a few hundred students! Check out the pics on MySpace! Thanks for your attention, your questions and all of you who’ve signed up for my MySpace friends so far! Also, thanks to all who gave Carson some lovin’! He came home a very happy dog! Book Release Event this Friday night! All are invited! Details are below!